One of my students was joking with me a few weeks ago about who does the PR for the Kale Board, because they’re doing a pretty good job! Think about it, who was eating kale 10 years ago? I wasn’t, but I now buy several bunches of kale every week and consume it in so many different ways from juices and salads to pastas and spaghetti squash. Kale is hot is because it is not only versatile, but so incredibly nutrient-dense. Superfoods like kale are getting a lot of attention because these days we need all the nutritional help we can get! But I’ll be the first to admit that kale can take some getting used to if the only leafy green in your life has been romaine lettuce. Kale can have an assertive flavor similar to broccoli leaves, which makes sense since they’re related to each other. When I add kale to my fresh juice in the morning, I need to balance it with mild-tasting vegetables like cucumber and celery and maybe even some green apple. If you’ve never tried kale, I think a great place to start is with my Kale Salad with Citrus Vinaigrette. It’s really my favorite salad in the whole world. I taught it in a class about 3 or 4 years ago and I swear I think I have eaten it once a week for the last 5 years. What I love about it is that the bitterness of the kale is balanced by the sweet, tart, citrusy dressing. And I can add anything I want to the salad and it always tastes good. Even Mr. Picky has come around to eating it. Did you ever see the kale salad video I did for Elizabeth Street with Mr. Picky? Check it out here! 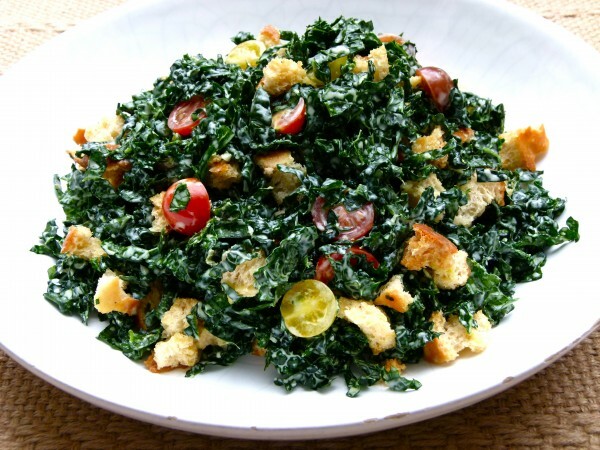 This latest kale salad is completely different from the the other. 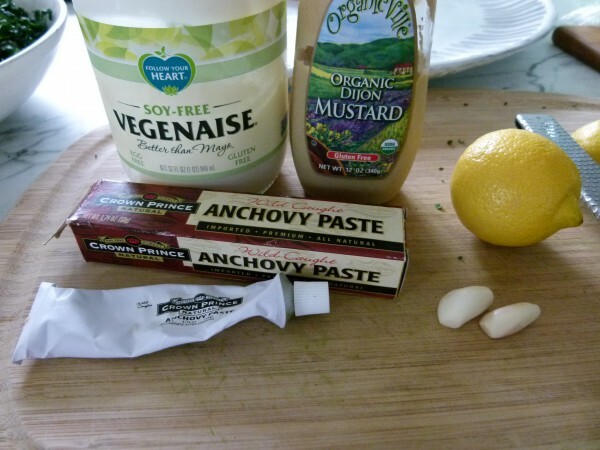 The dressing has much more punch and is similar to a lemony Caesar. I still highly recommend massaging the dressing into the kale leaves as that softens the leaves so that you feel like you’re chewing lettuce and not cabbage. The croutons here are completely optional, But if you do use them, you must tear the bread by hand and not cut them with a knife. Big difference! 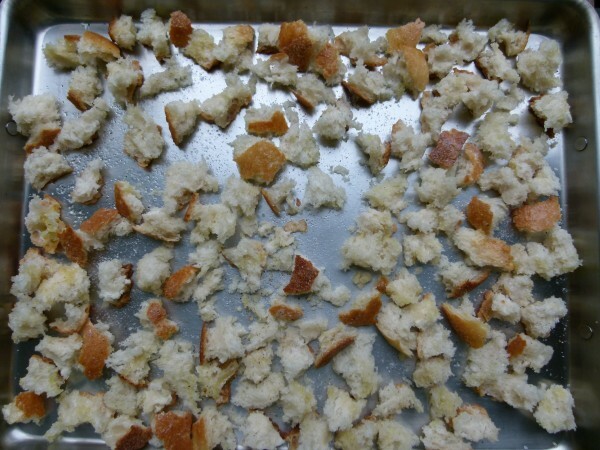 The croutons torn by hand have more open nooks and crannies to latch onto dressing and tomato juice. Trust me. 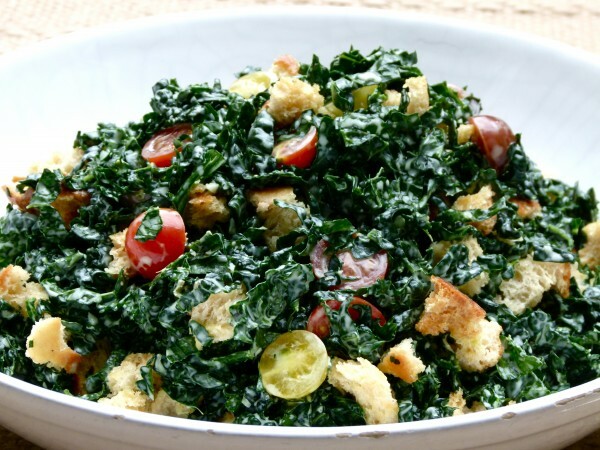 Speaking of tomatoes, don’t skip them unless you’re allergic because the tomatoes add a very important sweet note to balance the kale and the pungent dressing. I actually tried the salad without the tomatoes once and it just wasn’t as good. You might try making a meal out of this by adding grilled chicken or shrimp. Avocado slices would be delicious here, too. There are so many ways to make this easier on yourself by planning ahead. It’s the only way I get anything done around here! 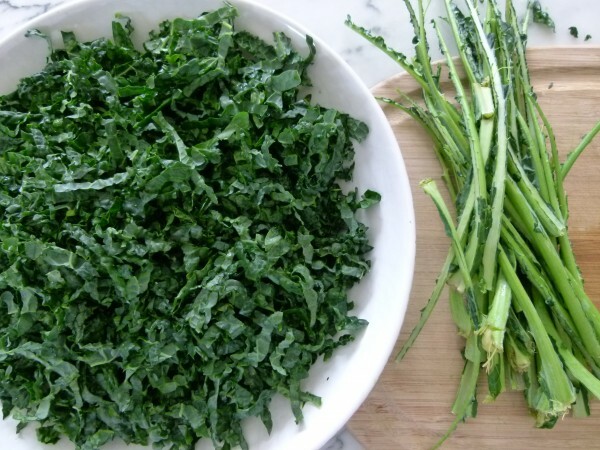 Wash your kale a few days in advance and prep the leaves. Make the croutons 2 days in advance. Massage the dressing into the kale an hour in advance, if you want. Are you new to kale or is it in the regular rotation? What’s your favorite way to eat kale? Preheat an oven to 350 degrees. Line a baking sheet with parchment paper. Arrange bread on the prepared baking sheet and toss with olive oil, salt and pepper. Bake until the croutons are golden brown, about 20 minutes. 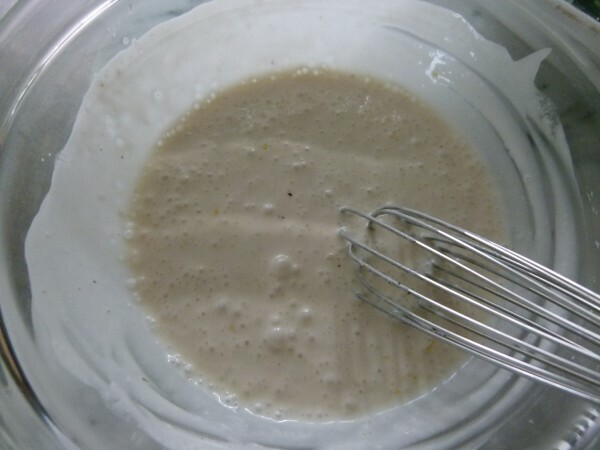 Meanwhile, in a medium bowl, whisk together the Vegenaise, water, lemon zest and juice, garlic, anchovy paste, mustard, pepper to taste and a pinch of salt. 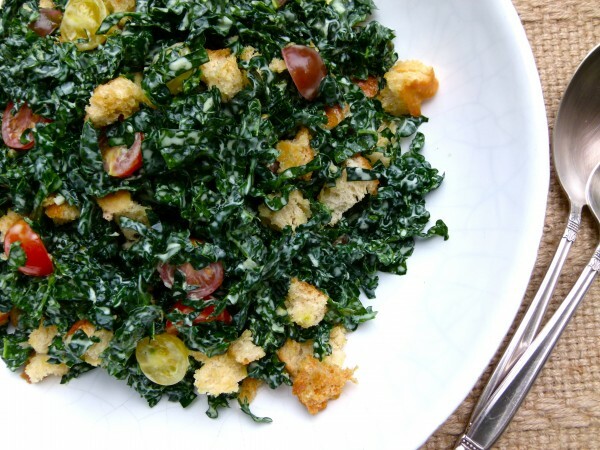 Put the kale in a large bowl and toss with enough dressing to coat. If you massage the dressing into the kale, the leaves will soften a bit. Top with the croutons and cherry tomatoes and garnish with cheese. Serve the remaining dressing alongside. I just this last night for a group of teenage girls and they loved it! So happy you did, too. By garlic aftermath, do you mean garlic breath? If it’s too garlic-y for you, use less or blanch it first. Otherwise, eat some fresh parsley afterwards! Yes, the raw garlic tends to stick, but the dressing is soooo good it’s worth it! Like a kale Caesar. The parsley helped a bit….sorry for the novice question, but how do you blanch garlic? Steam it? Sorry, yes garlic can be blanched by putting in boiling water for a minute or two. Just takes the raw edge off. Will try it.. Thank you again for generously teaching so many incredible recipes and health tips. You are a life changer!! Very nice salad, I used cabbage because I didn’t have kale. I tried some of the dressing on some cheese ravioli and it was amazing. Yum, yum, yum!! Another great one. I first tried kale 2 years ago and, like you, eat it every single week now! My go-to kale salad is kale, red cabbage slivers, dill and basil massaged with avocado, lemon juice, nutritional yeast, salt, & cayenne. I also love kale with olive oil, parm, panko, salt and pepper. Dill sounds nice with kale, James. I was playing around with thinly shaved fennel in a kale salad and thought it was delish. Great suggestions! Fantastic! Do what you’ve gotta do. It means you pour the dressing on top of the cut kale leaves and squeeze the dressing into the leaves with your hands. There’s an image of me doing that in the other kale salad I reference above and you can watch the video of me doing it with my son. Links for both above. Really easy! You can’t taste anything “fishy” at all and I’ve made the dressing without and I think it’s a tad better with the anchovy paste. But if you don’t want to eat, I get it. Add an extra pinch of salt and a dash of vegan worcestershire — regular worcestershire contains anchovies ;). I haven’t really jumped on the kale bandwagon but this looks good and the fact that is is sliced very thin is appealing. I MUST try it.